I have meant to do reports on individual African countries for some time. 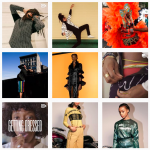 Referring to African fashion in the singular doesn’t capture the market’s diversity and it doesn’t take into account the different speeds at which the industry is evolving in each country. It also reproduces assumptions that the styles from the continent fall into an homogeneous category, overlooking, among other things, the big gap that separates luxury, the most visible export from the continent, from other sectors. So the idea is to devote three/four posts at a time to one country, featuring a report, an interview with a creative, and some visual material and links to relevant brands/topics/works. Considering the pace at which I have been blogging (an average of 4 posts/month), this means I’ll have enough material to do focus months. This is Nigeria Focus Month. As a top fashion market in Africa, it makes sense to start from there. Rising purchasing power, a strong appetite for consumer goods, and overall positive macro-economic performance (up until late 2016) have sustained growth and driven considerable private investments in the sector in the past decade. 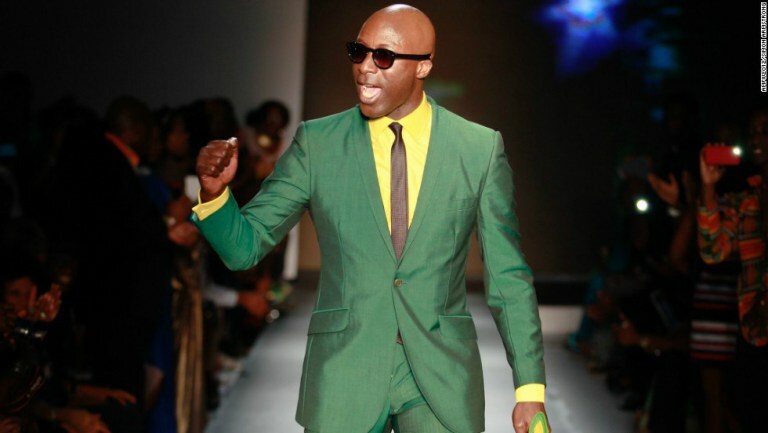 Also seventy percent of African fashion in the diaspora comes from Nigeria, and since global personalities have started wearing Nigerian labels the national industry has gained more traction. Given the country’s dependence on oil, a dwindling non-renewable resource, the government has been looking to the creative industries to bolster the economy. Indeed, according to a report published in 2013, the gross value of the fashion, film, and music industries combined is around N 2.5 billion. However, no major funding has been devoted to this sector as of yet. 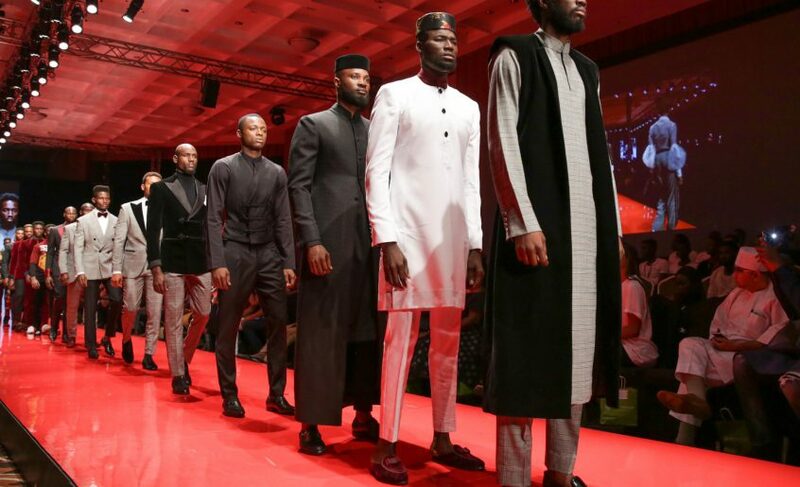 The recent re-launch of Arise Fashion Week in Lagos after a six-year break proves the city’s status as a fashion hub and key destination for fashionpreneurs, with a transnational reach. On that occasion Naomi Campbell made a statement in support of a Vogue Africaedition, attracting global attention, potential customers (she walked for Lanre Da Silva Ajayi and Kluk CGDT), but more importantly validating local efforts to promote Nigeria, in particular, as a solid market for fashion products. 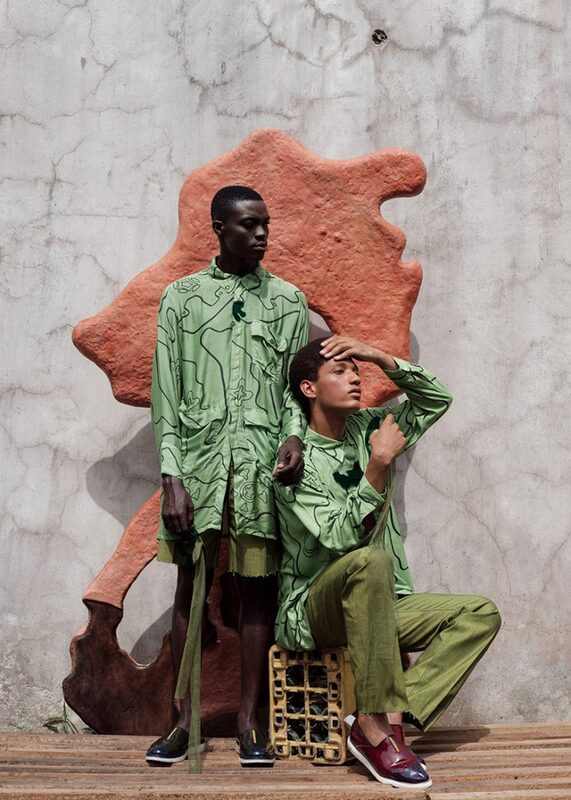 At the same event, the Ghanaian designer and OBE Ozwald Boateng showcased his “Africanism” collection, further linking his idea of an African fashion renaissance to Nigeria. 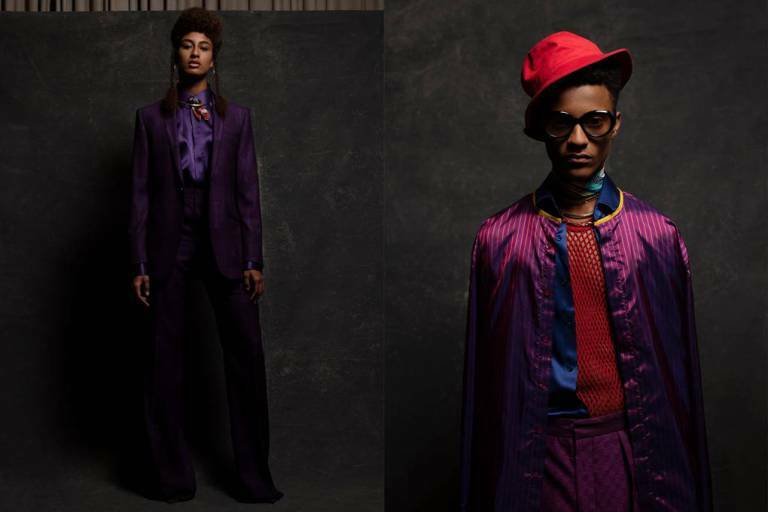 In an essay appeared on Vogue UK, Boateng praised the “youthful energy” of Lagos and the “incredible confidence” of local talents who proudly showcased African designs. 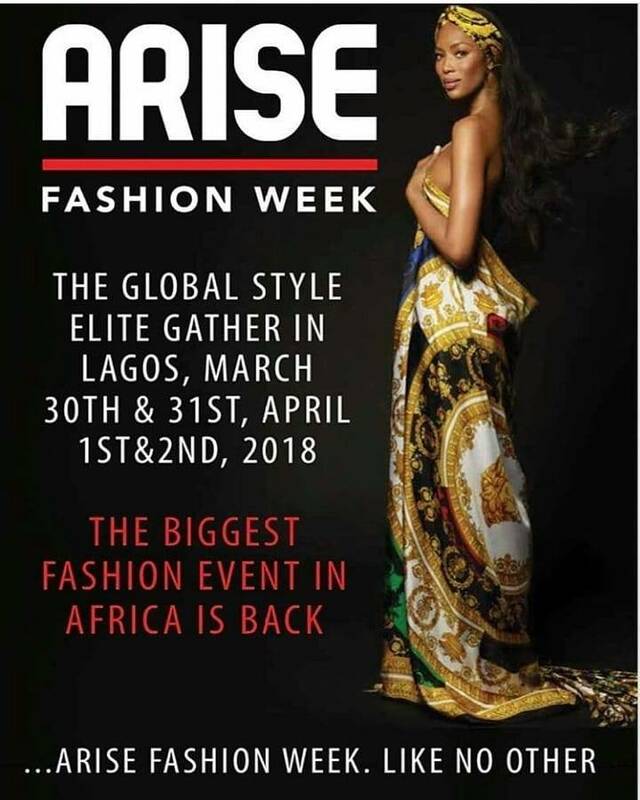 Arise Fashion Week is only one of many events that draw talents and talents-to-be to the country from all over Africa. These include Lagos Fashion and Design Week, Africa Fashion Week Nigeria, GTBank Fashion Weekend, and Nigeria Fashion Expo. While driving the economy, these events fuel the cultural debate on innovation, visual storytelling, and the importance of preserving heritage within an ecosystem that evolves at a very rapid pace. The “Lagos” section of Fashion Cities Africa (2016) written by Helen Jennings addresses these issues. It gives an in-depth overview of the scene, players, and history of Nigeria’s key fashion destination, supporting the notion that “fashion has the potential to become one of the country’s greatest exports” (91), as per a quotation by stylist Bolaji Animashaun. Notable brands mentioned include Dakova, Remi Lagos, Deola Sagoe, Lisa Folawiyo (Jewel by Lisa), Ikiré Jones, Maki Oh, Duro Olowu, Lanre da Silva Ajaye, I.Am.Isigo, Orange Culture, Kenneth Ize, and Adeju Thompson. 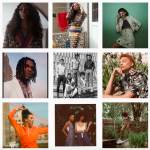 These brands are reshaping how Nigerians view and experience fashion, pushing a message of diversity and inclusion to the international audience. 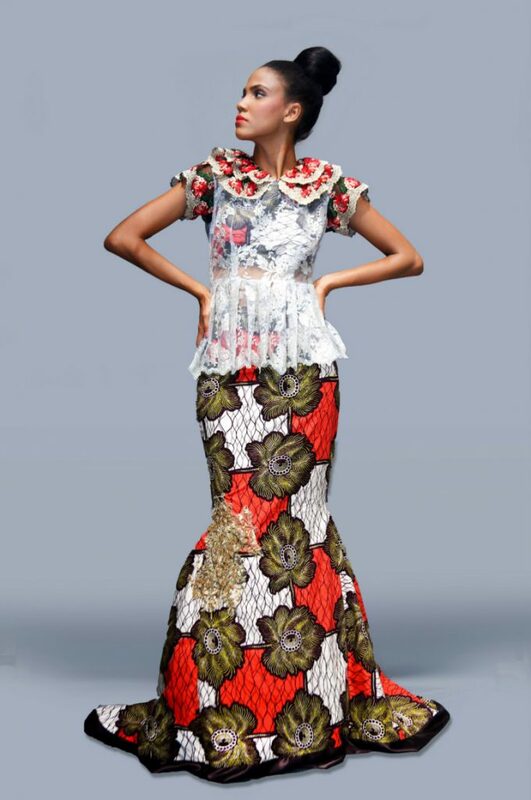 They employ local craftsmanship and textiles, applying a modern view to the Nigerian heritage while taking inspiration from a variety of sources. An example are the dyeing workshops offered at Stranger menswear store and future plans to introduce weaving classes. 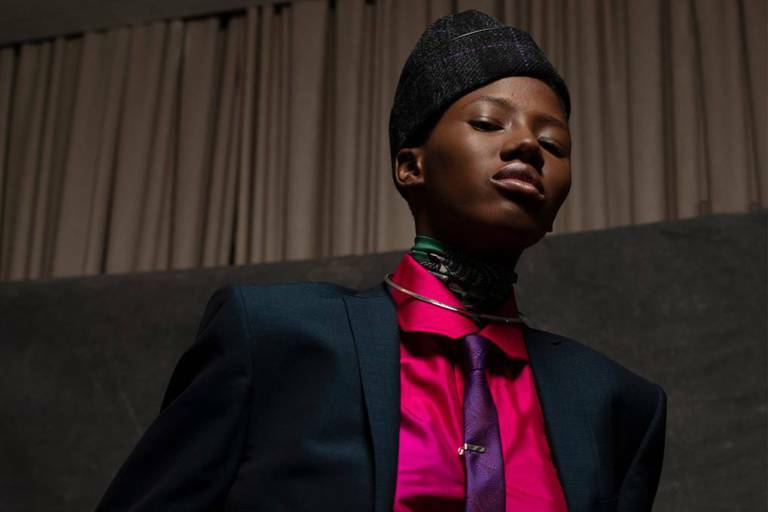 Tegwa Ukpo, co-founder of the retail spot, believes that it is possible to “bring craft from [Nigeria’s] past and project them into the future” (Fashion Cities Africa, 101). Perhaps the most successful example of reinventing heritage for the globetrotter customer is Maki Oh, the brand founded in 2010 by Amaka Osakwe. 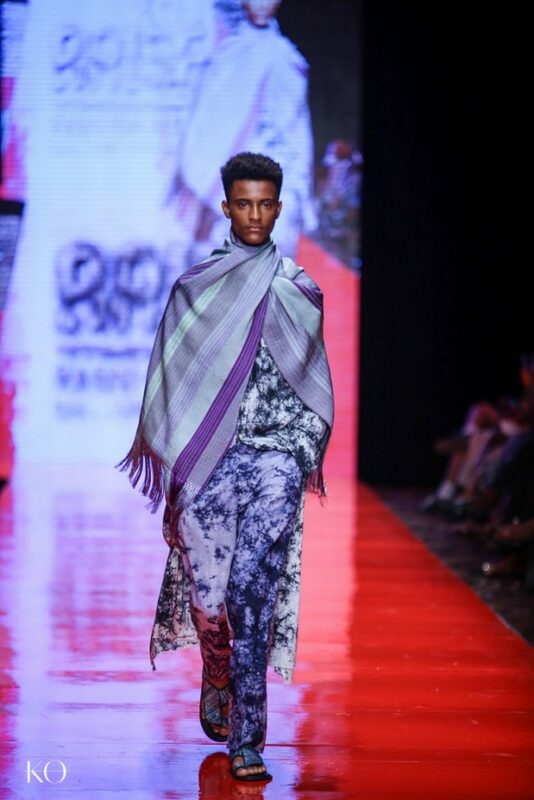 The designer incorporates West African textiles and crafts, such as hand dyed adire, aso-oke, akwa ocha and oja, in contemporary constructions that deliver “a strong sense of identity and culture, creating narrative pieces that function as direct channels of communication”. 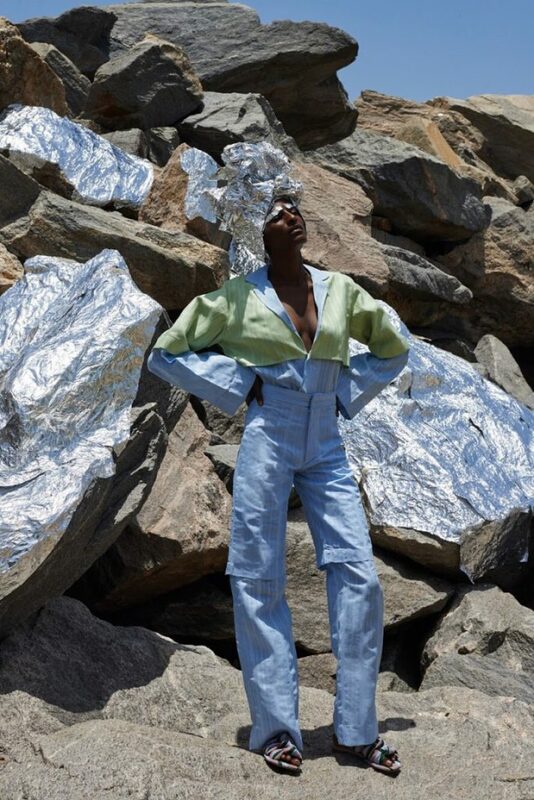 Osakwe speaks of the brand as delivering visual stories about her home country. 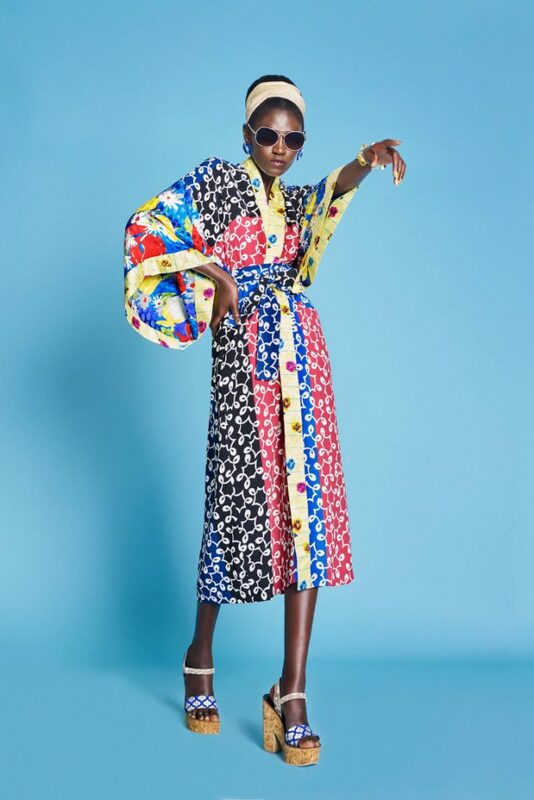 For Maki Oh, as for other brands, colour, silhouette, and patterns deliver bold designs that are meant to accent the personality of the wearer while foregrounding a cross-cultural aesthetic. 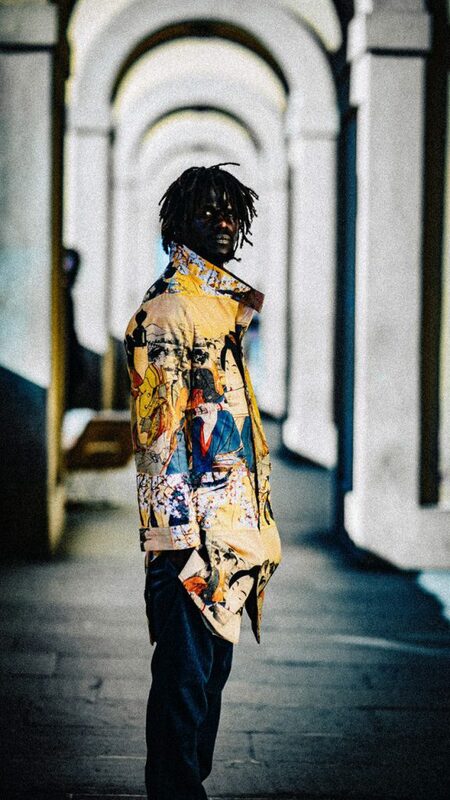 Kenneth Izedonmwen, who launched his menswear brand Kenneth Ize in 2013, captures this fashion philosophy: “Largely personal stories … are uniquely narrated to create a space for diversity and culture, most of [which] can be seen in local craftmanship and hand-made techniques”. Since no official figures exist on the Nigerian fashion market it is hard to quantify it, but it has undoubtedly boomed since the last 1990s, regardless of the fact that, in the meantime, 75% of the national textile manufacture has fallen. 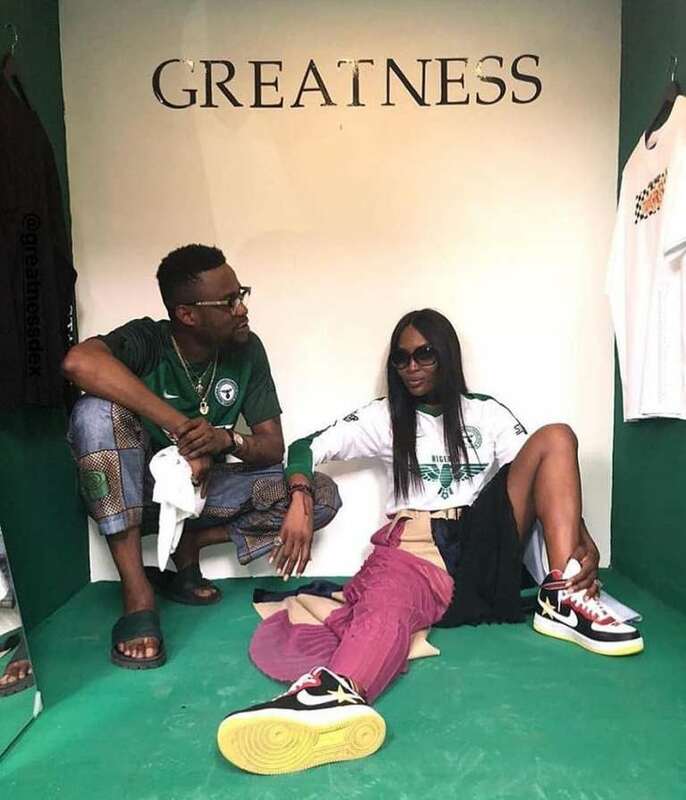 Nigerians are notoriously brand-savvy and obsessed with wearing unique styles, but while in the past this interest brought well-off Nigerians to buy their fashions abroad, now there’s renewed pride in wearing local brands. Naturally, this has positive effects on sales points. A consequence of the boom has been the proliferation of shopping malls catering to the fashion-literate crowds. Industry watchers posit that Lagos in particular has recorded high investment in shopping malls and increase in clothing luxury brands. These figures show that a luxury economy exists, but they also highlighting the challenges that hamper the growth of the market. One of the foremost is the chronic lack of power and infrastructure. Emerging designers also lament virtually non-existent distribution, although those on a low capital can rely on technology. The spread of mobile technology is arguably one of the principal drivers of the Nigerian fashion boom. This article gives some figures that help to grasp the fast growth of internet use in the country. “In 2016 Transsion Holdings shipped 79.91million mobile phones to [Nigeria] out of a total 215.33million phones shipped to the continent. Statistics show that 95.37million of the total phone shipment were smartphones.” According to We are Digital 2018, the annual report on global digital use by We Are Social and Hootsuite, between January 2017 and January 2018 internet use in Africa has grown by 20% and active mobile use has increased by 15% . In Nigeria, Internet penetration is at 49%, higher than Ghana (35%), another booming fashion economy of West Africa, but significantly lower than Kenya (86%). The expansion of mobile use has also triggered the launch of e-commerce sites, helping Nigerian designers obtain visibility and expand their reach. The CNN website reports figures from a survey by Ipsos Mori and PayPal claiming that 89% of Nigeria’s internet users shop online or expect to do so in the future. Forbes published an interview with Honey Ogundeyi founder of Fashpa.com, an online fashion shop delivering its own brand across Africa and the rest of the world. Ogundeyi is relying on big data to turn Fashpa into Nigeria’s premier fashion retailer that trains and employs local women and youths, while operating as a global ambassador of local crafts. 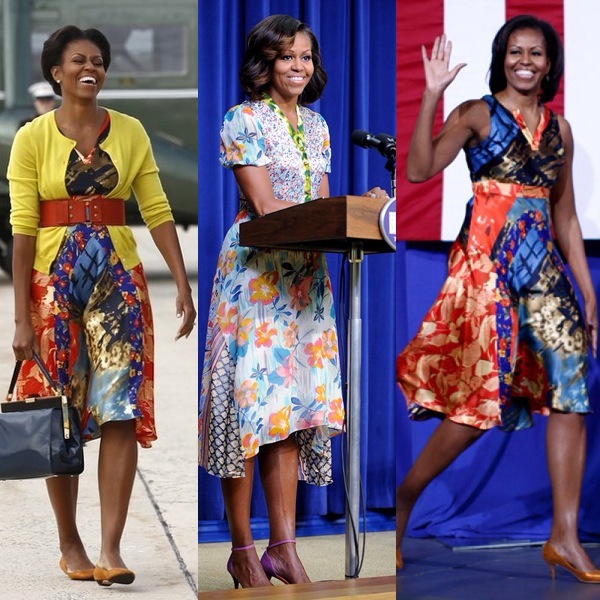 Promoting international commerce is a sensible goal, considering the growing demand of African fashions by clients from the diaspora. Oxosi, founded in 2016 by Kolade Adeyemo and Akin Adebowale, is another foremost platform for luxury fashion and lifestyle goods. 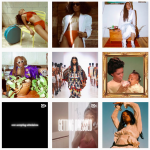 Besides promoting high-profile brands from Nigeria and the rest of the continent, Oxosi publishes a magazine that will foster a sense of community around the idea of “Afromodernism”. Again the focus is on promoting pride in being African by creating narratives around the clothes and the people who make them. 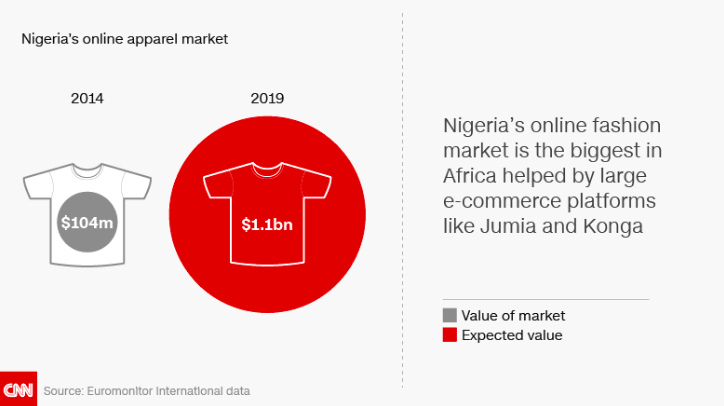 If Euromonitor’s projections are correct, the Nigerian online apparel market will grow to $1.1 billion next year. This report has highlighted some of the key issues linked to the luxury market in the country. The next posts will focus on how Nigerian talents image this market and its reach is on social media.